No, this isn't another invasive species invading the Northwest. 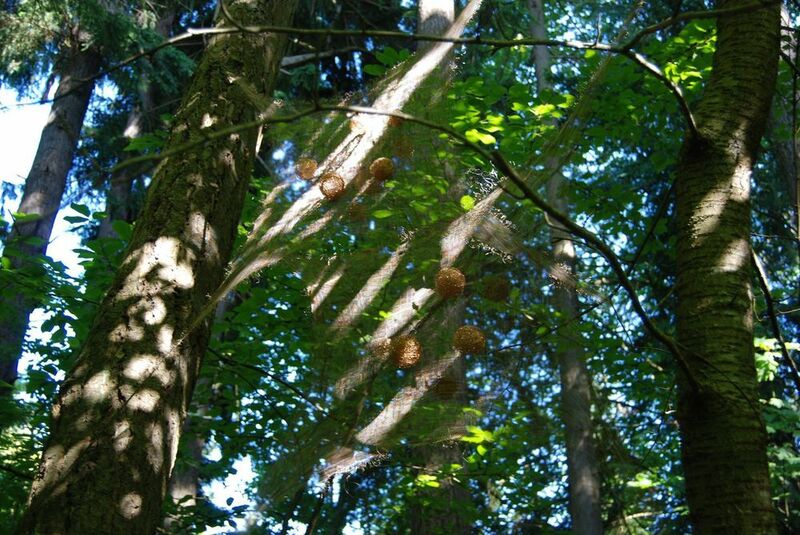 It is an outdoor installation I created called "Symbiotic Web." It is installed at the Port Angeles Fine Art Center, Webster Woods as part of their "Art Outside" series and it will be on view until April 2015. It is just one of many installations in the park created by dozens of artists. The mesh is flame treated and the golden ball forms are made out of bronze wire. I did seven webs in all so you have to search a bit to fine them.